Photo by Renita Wickes Community Relations Col. Scott Taylor introduces Staff Sgt. Joeseph Gonzales who was recognized for winning the FORSCOM NCO Best Warrior Competition. The Barstow Chamber of Commerce held its 36th Annual Community Awards Feb 18, to recognize individuals and organizations for their hard work. 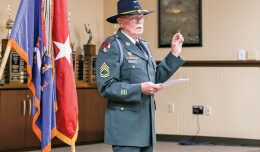 Students, military personnel, businesses and individuals took the stage as they were recognized for their contributions to the Barstow community. Masters of ceremonies, Raquel Beezly and Scott Figueroa, presented the awards throughout the evening with assistance from Miss Barstow Nicole Gutierrez and Miss Barstow Teen. The Commander of the National Training Center and Fort. Irwin Brig. Gen. Jeff Broadwater was joined on the stage by Col. Scott Taylor, garrison commander and post Command Sgt. Maj. Edison Rebuck. Col Taylor introduced Staff Sgt. Joseph Gonzales the FORSCOM NCO Best Warrior competition winner. 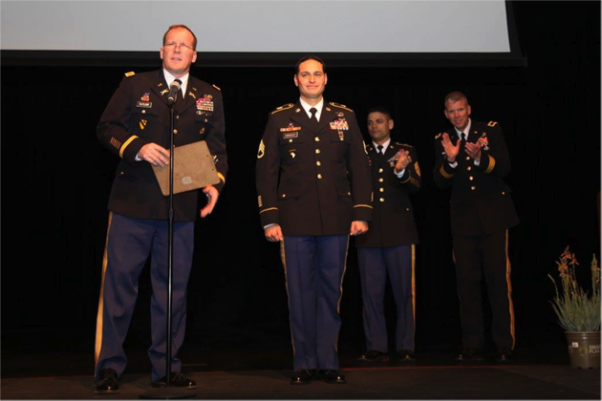 Rebuck accepted the awards for SGT Eric Cano, the NTC NCO of the Year and Spc. 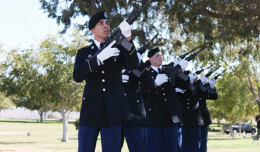 Alan D. Ibarra-Lepe, the NTC Soldier of the Year.